Entrepreneurial mindsets are directly linked with modern leadership and innovation. These three topics are so connected that it would be a tragedy to not provide resources and information to help develop these important skills. They primarily effect small businesses and business people but an entrepreneurial ideology can be of benefit to almost all leaders. I’ve been around many entrepreneur types in my life and they are quite similar in personality and demeanor, not in a negative sense but they have strong depth of character and great ideals which drive the creativity and innovation of the entrepreneurial mindset. Often I find myself in conversation with leaders on whether this ideal is beneficial for leading large businesses or organizations and despite many believing to the contrary, I’ve found that people who find the greatest success in their endeavors employ this strategy. 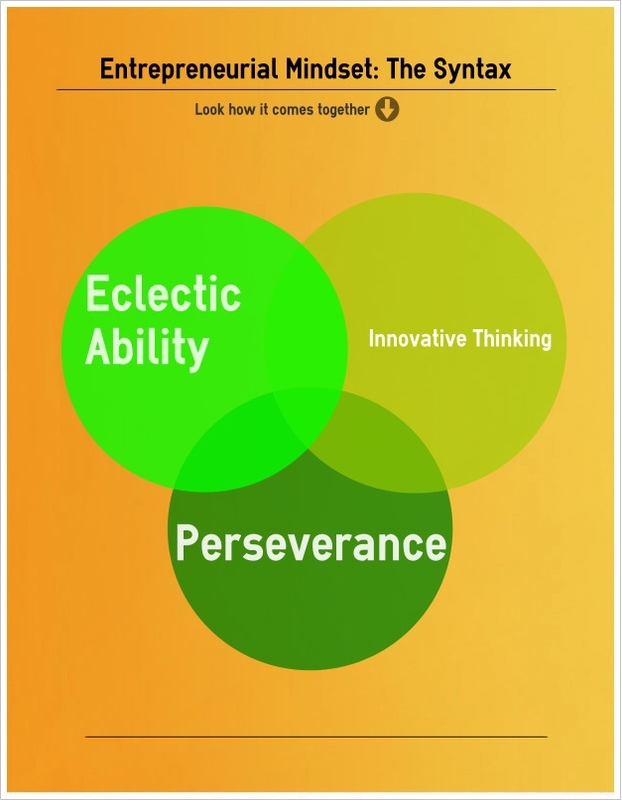 Which qualities identify with an entrepreneurial mindset?There are particular values which define these individuals and although the entrepreneur primarily outworks themselves in the business world, i’ve also seen these people in NGO’s and larger not-for-profit organizations flourish with new ideas and better ways of doing things. Indeed even in Universities and the education sector this particular quality is sought after as it enables a new kind of leading. The entrepreneur doesn’t have to be brilliantly talented at everything, but they choose to learn new abilities and have a broad spectrum of learnt skills. The innate nature of this individual and mindset is that it engages and is interested in many different vocations. They are never limited by one type of job, they are not boring mindless office workers and definitely not put off by others telling them they can’t do something. An eclectic ability makes the entrepreneur mindset diverse and these people love to consume new knowledge from others. Often they are really great conversationalists as they are legitimately interested in learning new ability from others experiences. This is very often actualized with entrepreneurial thinking as they have often been related as two similar subjects. If you’re interested in these two subjects then I would strongly recommend reading Peter F. Druckers Innovation and Entrepreneurshipas it brings a lot of excellent thinking together. When people think innovatively they engage a world in a way that hasn’t been thought of before. It’s a dangerous thing as innovation isn’t always met with acceptance and praise, but for the entrepreneur it is the lens glass that they see the world through. For more information on innovation they check out our creative innovation center. This is my own little vice that I wanted to add to the conversation over the mindset of an entrepreneur, it may seem odd but often these people persevere through all the hardships and difficulties and due to this perseverance they come out on top (eventually). Many innovative entrepreneurs will fail at the first step and give up without engaging truly in this creative world. The will and ambition to keep going strong is what drives these people and mindset as they know that eventually they will find the great business idea or the ‘next new thing’ and find purpose through this process again. If you’re unwilling to fail a few times then you haven’t properly accepted this lifestyle correctly. We will be building new resources into this section in the coming months but if you’d like to know more about the entrepreneurial mindset then read through our innovation center. MUSCAT — Dr Madeeha bint Ahmed al Shaibaniyah, Minister of Education and Member of the Main Committee of the Small and Medium Enterprises Development Symposium, appreciated the Royal Directives of His Majesty Sultan Qaboos to hold the symposium to support and encourage Omani youth to start their own business and to increase the contribution of small and medium enterprises to the economic development of the Sultanate. Dr Madeeha said His Majesty has directed the Council of Ministers to enhance the role of the private sector in the economic development of the Sultanate and to strengthen the partnership between the government and the private sector to provide projects and investments that will generate job opportunities for the Omani youth and to nurture the individual initiatives through small and medium enterprises. She said the symposium, which will be held in Saih Al Shamikhat in the Wilayat of Bahla between January 21-23, will include four themes and will be a platform to formulate a plan to activate the recommendations of the symposium. “Entrepreneurship culture” is considered one of the main hubs for the social and economic development all over the world. His Majesty pointed out in his speech in the Council of Oman in 2011 and 2012 that attention must be given to develop the national human resources and to support entrepreneurs by providing opportunities for learning, training, qualification and employment. Regarding the outcome of the symposium, Dr Madeeha mentioned that the organisation of this event reflects the Royal attention to this field and a message to the relevant government and private institutions to increase the efforts to build attractive environment for entrepreneurs. The three-day symposium will be a good chance for the entrepreneurs to meet decision makers and discuss their expertise and ideas in this field. Also, the government policies and plans in this field will be viewed as part of the symposium. Dr Madeeha highlighted the role of education to enhance the culture of entrepreneurship in the society by shedding the light on it as one of the solutions that will improve the living standards for the citizens and enhance the economic growth of the country. The symposium will include a number of sessions through which visions and initiatives will be reviewed and discussed by the participants. As a stakeholders, the Ministry of Education has made many steps to spread the culture of entrepreneurship among students. The Ministry issued the Ministerial Decision 33/2012 to form a committee to study the cases of entrepreneurship followed by the Decision 422/2012 to form a main committee for entrepreneurship and another executive committee in which a number of government and private institutions will define the values, skills and knowledge to be included in the curricula. Besides, the two committees are assigned to study the international expertise and to provide training opportunities. Recently, the Ministry with the co-operation of the government and private sector institutions organised a workshop about “Incorporation of entrepreneurship in education”. It aimed at exploring the skills and knowledge needed for the labor market and ensuring that the entrepreneurship programmes meet the requirements in the general and university education beside the technical education. The National Career Guidance Centre is one of the Ministry’s directorates, which worked along the past years to spread the mindset of entrepreneurship through the career guidance services for the students in the schools and through the life skills curriculum. The Minister pointed out that the Ministry of Education implemented the innovation incubators with the cooperation of The Research Council. The project aims at developing the innovative and research skills as part of the national innovation system, besides training the Omani cadres to develop the students’ innovative thinking skills. The programme also provides a special environment with all the equipment needed besides human and financial resources. The Ministry also supervises other educational programs related to entrepreneurship such as “Ghaituh” programme which was designed to provide students with entrepreneurship skills such as home appliances and electronic devices maintenance, maintenance of vehicles, event organisation and hospitality, graphic design and photography. There is also another programme “Rowad Takatuf”; which is implemented with the co-operation of the Oman Oil Company and it is one of these excellent educational programmes in developing the skills of the youth and preparing them for the business market. She also referred the Oman Challenge Program which aims at providing the participants with life experiences and taking them out to a different environment unlike the one they live in. Thus, taking them to the world of challenge through self-reliance, teamwork, self-discovery and leadership. Dr Madeeha confirmed that the Ministry is seeking to achieve a number of objectives to promote the mindset of entrepreneurship among the educated. For example, promoting the mindset of entrepreneurship among the educated and strengthening the relations between stakeholders and beneficiaries of entrepreneurial culture. That is as well as to identify possible opportunities for co-operation between educational institutions and industry and the exchange of experiences and expertise of entrepreneurship locally and internationally. The Ministry also tries to highlight the role of small and medium enterprises in generating job opportunities for Omanis. She also added that the Ministry is currently working to achieve these goals through a range of themes and actions. One of the themes is educational curricula and its role in supporting entrepreneurship. It includes best practices in learning entrepreneurship and developing the educational curriculum to serve entrepreneurship. Another theme is teacher preparation to promote entrepreneurship. This theme includes the role of teacher-education institutions in promoting entrepreneurship, and in-service teacher training. Another theme is educational initiatives and programmes in promoting entrepreneurship. This includes models of entrepreneurship initiatives and programmes, programmes to instill positive attitudes on learners towards freelance work and self-employment, women and their role on entrepreneurship, and the role of handicapped in entrepreneurship. Yet another theme is civil society and promoting entrepreneurship. It includes the role of the media in promoting entrepreneurship, and the civil society organisations and their role. Dr Madeeha added that the Ministry of Education is paying special attention to the entrepreneurship subject. The Ministry will intensify working towards highlighting entrepreneurship mindset in all kinds of knowledge sources in the educational curriculum. The results of work of the entrepreneurship committee formed by the Ministry of Education last year will be accompanied by the results of the project Education Assessment and Development, which is also a reality coming to existence after the orders of His Majesty to develop education to keep pace with the economic and social requirements in the Sultanate. We have argued from the very beginning that everyone will need to develop entrepreneurial skills to thrive in the years ahead. Given how fast the global economy is involving and the number of jobs—and indeed entire industries—that are disappearing you simply have no choice. And we have explored in depth the thought process you need to follow when dealing with all the uncertainty we now face. It’s a model that we call: Act. Learn. Build. Repeat. We have taught this approach in our Just Start course (www.Just-Start.com). Tom McDonough (www.getappia.com), one of the participants in our course, has taken our ideas and built on it. He argues—and we believe him—that it is possible using this approach that anyone could develop an entrepreneurial mindset in 12 weeks. And he is in the process of creating a course of his own to show people how to do just that. Here’s what we take from the underlying premise of Tom’s course. 2. Many of us can make things, or have ideas for a small service we could offer. Given those two insights, the question is whether that thing, service or expertise is valuable enough that some group of people will pay you for it. If so, how do you get started and find those people? And how do you offer that expertise at a cost to you of less than what you get paid for it? You might, for example, offer a course on Udemy.com. Or write a short manual and self-publish on Amazon. Or if it is a thing, you might produce it and sell it on eBay. And it doesn’t even have to be something you produce yourself. One woman we know has a nice side business inventorying and reselling old Cuisinart parts on eBay. To Tom, it really doesn’t matter how big the idea could become, the key thing is to get underway to prove to yourself a) You can do it and b) whether you like the idea of starting and running something. Determines an acceptable hourly wage for him/herself. Can be shut down easily. And you get underway “asking the question what could I start that could, within 12 weeks, begin to generate a modest profit ($250/wk. or $1,000/mo.) Just enough to make you a believer,” Tom says. At the end of 12 weeks you will have shown you can get a company up and running and can sell a product. You may not want to continue, but at the very least, you will know that you can take action and produce positive results. Again, it doesn’t matter if there is only a small market for what you want to do. Tom is trying to help you prove to yourself that you can be an entrepreneur. To do that, you simply need to start a profitable business. Any size proves the point that you can do it. There is no reason to require that your first business be a blockbuster. Many successful entrepreneurs have failed multiple tiny businesses on the way to their success. Think of this as learning exercise that will help you gain the skills you need to thrive in the years ahead, no matter what you end up doing. You can afford to do, because the stakes are low, i.e. they are within your Affordable Loss and because they are, you can have fun while you are learning. The Ministry also tries to highlight the role of small and medium enterprises in generating job opportunities for Omanis. She also added that the Ministry is currently working to achieve these goals through a range of themes and actions. One of the themes is educational curricula and its role in supporting entrepreneurship. It includes best practices in learning entrepreneurship and developing the educational curriculum to serve entrepreneurship. Dr Madeeha added that the Ministry of Education is paying special attention to the entrepreneurship subject. The Ministry will intensify working towards highlighting entrepreneurship mindset in all kinds of knowledge sources in the educational curriculum. The results of work of the entrepreneurship committee formed by the Ministry of Education last year will be accompanied by the results of the project Education Assessment and Development, which is also a reality coming to existence after the orders of His Majesty to develop education to keep pace with the economic and social requirements in the Sultanate. The student’s eyes drift to the classroom window and the teacher’s voice fades from consciousness. The daydream begins. It’s a familiar scene, one we have likely both experienced as students and struggled against in our students as teachers. But daydreaming is not what it might seem. Recent research in both psychology and neuroscience clearly shows that daydreaming is an essential part of mental processing, reasoning and, yes, even learning. The most common view of the human mind assumes that our normal way of thinking consists of concentrated focus upon immediate tasks at hand. But researchers have found that this is not the case. Daydreaming is now considered to be the normal state of our minds, with focus appearing as a break from the more common mind wandering. A recent study has found that our mind wanders forty seven percent of the time we are awake with very few activities not equally peppered with natural periods of daydreaming. Another study has shown that the parts of the brain stimulated during daydreaming consist of the “default network” regions of the brain that are associated with most higher level mental activity. This suggests that we have evolved specifically to be a daydreaming species. It is even more telling that those who suffer injuries to the region of the brain in which daydreaming occurs suffer from a lack of spontaneous speech and thought. The fact that daydreaming is the natural state of the human brain suggests that those who take most naturally to daydreaming will best exhibit the skills necessary for successfully navigating the human world. Far from representing a lack of discipline, daydreaming is a hallmark of a healthy and active human mind. Aside from the “default network”, one of the main regions of brain used during daydreaming consists of the “executive network”, the region of the brain associated with complex problem solving. Before this was revealed, for example through the 2009 study at the University of British Columbia, it was commonly thought that the “executive network” was only active during focused problem solving. As this study suggests, a healthy amount of daydreaming is connected to improved critical thinking capabilities, an invaluable characteristic in successful learners. It has also been shown that daydreaming is dramatically more present in those considered to be of superior intelligence when compared with learners of average intelligence. One study suggests that the improved integration of the default and executive networks developed through their continual exercise through daydreaming significantly contributes to the formation of increased intelligence. It’s a truism that our “dreams”, by which we usually mean our goals and desires, provide motivation in life. What is less recognized, however, is the central role played by the process of daydreaming in envisioning and imaginatively experiencing the lives we wish to lead and people we want to become. Our goals and desires are what they are because we have spent time freely living through our daydreams what it would be like to achieve them. For these reasons, daydreaming in learners is related to higher levels of ambition and a deeper sense of motivation. Freely imagining “what you would do if…” is far from idle. Having envisioned scenarios and played out possible events gives us an increasing sense that we can handle them. In this way the imaginative anticipation that often occurs in daydreaming contributes as much to a robust sense of confidence as it does to a healthy motivation. Think about it this way, daydreaming is a training ground for your mind where it plays through and sometimes struggles with scenarios it has not experienced or wants to react differently to in the future. Though successful training certainly doesn’t guarantee success during the real event, it does provide a mental preparedness and a firm sense that no matter what may occur we can deal with it. For this reason some of the most confident learners are also those with the healthiest daydreaming lives. Did you ever wonder what causes that moment of insight when something suddenly clicks or a solution becomes clear? The answer is a lot of hard work on the part of your brain that goes unnoticed. Moments of insight, those sudden revelations that seem to come from nowhere, are long prepared for through the brain’s ongoing hidden organizing and processing. Daydreaming, as a mental state activating both the default and executive networks of the brain, plays an important role in that organizing and processing. What you may think is just your mind drifting is actually your mind actively forming connections between information, synthesizing what was previously only chaos, and preparing the ground for the moment when things suddenly fit into place. Once we appreciate this we see that daydreaming is just as productive as spending an hour working on a difficult math problem. Recent work has shown that spending less time on the problem and more time letting our mind wander could contribute to getting the answer faster. Benjamin Baird and Jonathan Schooler at the University of California at Santa Barbara have shown, as discussed in an article in The New Yorker, that spending time daydreaming after first being given a task leads to more insightful responses to the task than focus and concentration do. In his book Blink: The Power of Thinking Without Thinking Malcolm Gladwell discusses the phenomenon of “thin-slicing”, the mind’s jumping to conclusions based on surprisingly little information. Despite what we tend to assume, Gladwell demonstrates that jumping to conclusions based on limited information is often statistically the most reliable way to arrive at the right decision. For example, Cook County Hospital changed the way it diagnoses heart attacks to focus on less information. The key point about thin-slicing is that its effectiveness depends upon two factors. Knowledge, especially when derived from experience, and mental integration that allows for swift access to the knowledge and experience we have gained. If we return to our image of daydreaming as the training ground of the mind, the increased integration it imposes on knowledge and experience we have collected improves our ability to successfully jump to conclusions based on little information. It makes us more successful thin-slicers and improves our split-second decision making. What is problem solving? From what we have already said we might suggest it is an effective use of the default and executive networks of the brain resulting in increased intelligence, critical thinking, insight and thin-slicing. In general daydreaming makes us better thinkers. Being better thinkers makes us better learners. The traditional view of daydreaming understands it as a form of escapism. We are unhappy or uninterested in where we are and so imagine we are somewhere else. It is important, this view assumes, to resist this escapist urge and instead cope with the world as it is. It turns out, however, that daydreaming is itself a central element of our mental coping mechanisms. As already mentioned, daydreaming provides the brain with the exercise course where it can secretly play out different solutions to problems. More than this, however, those precious daydreaming moments allow us the conscious rest necessary to face difficult tasks or situations with a fresh mind. Yet, during these seeming moments of rest, the brain is still hard at work beneath the surface organizing potential responses without the generally awkward interference of conscious thought. Researchers such as Eric Klinger have shown that children who weave an imaginative story around their play are likely to be happier at play and to play longer. It is easy to generalize this point to adults as well, the ability to tell ourselves imaginative stories about the world and our own lives through daydreaming makes even the tedious or downright painful parts of our life more enjoyable. In learning the ability to cope with challenging, frustrating or boring tasks is a key ingredient for success. Coping is a key element of mental elasticity, the ability to shift our thought and behavior smoothly in response to changing situations and information. Daydreaming, as the practice ground for mental processing, greatly increases the mind’s ability to smoothly shift in the face of unanticipated events and situations. So while daydreaming clearly contributes to organizing information and experience we have already learned, making the learned material more useful by improving our ability to apply it, it also enhances our response time in the face of the unexpected. Recent research has shown that children with a healthy amount of empty play time, i.e. play time not directed through specific games or spent watching television, display a greater amount of creativity. Those, on the other hand, who tended to turn to entertainments such as television when bored were unable to invent interesting stories. The time spent daydreaming during imaginative play is a practice period for creative invention. The neuroscience of this should be clear when one considers the similarity between problem-solving and creativity in general. Those parts of the brain used during creative problem solving are also used during daydreaming. Concentration, while certainly important in both education and life, is not something we can increase simply through hard work, practice or will. The brain, much like a muscle, can indeed be improved but there is a limit to how far it can be developed. The fact that we are a daydreaming species and that daydreaming is the natural state of the human mind points to the artificiality of the mental states associated with extended concentration. What is becoming clearer is that concentration is not as simple as one might think. Rather, what appears to be the ability to continually concentrate on one problem or subject is looking more like a complex play involving using daydreaming rest periods, even surprisingly brief breaks, in a way that refreshes our ability to concentrate. Consider daydreaming like taking a power nap. Even a half-minute spent briefly relaxing control upon the mind can improve a learner’s concentration immediately after this break. Even as concentration works best interspersed with brief, and some times longer, moments of daydreaming “rest” during which the mind synthesizes what has been gained, so too does productivity in general go up when it is demanded in smaller bursts and peppered with healthy moments of daydreaming. This is nowhere demonstrated as clearly as through the highly successful Pomodoro Technique for time management. This technique employs a timer and breaks productive work into twenty-five minutes segments with a short five-minute break between each segment of work. After four such segments of work and breaks you take a longer break of fifteen minutes. This technique’s surprising ability to increase productivity depends upon the mind’s limited power of concentration with moments of daydreaming rest needed between periods of increased mental control. What it suggests is that teachers would do well, not only to appreciate the importance of daydreaming for successful learners, but even to organize lessons so as to actively encourage short breaks for daydreaming. Learning is nearly impossible if students do not feel connected to the material they are learning. Students have to care about what they learn to be the most successful learners. This connection to the material involves imaginatively playing with the material through which students rearrange and experiment while finding ways to connect it to their wider concerns, life, and fantasies. For this reason students who actively daydream, especially when they are encouraged to incorporate class material into their daydreams in whatever way they like, are much more successful learners. One of the most important skills for people in general, let alone learners, is what we might call the “moral imagination”. The moral imagination is the ability to think oneself into another person’s shoes, to imagine what it would be like to be them. This skill is necessary if one is to expand one’s sense of sympathy and empathy, but it is also a key element in problem-solving and reading comprehension. If a student is to understand a text or solve a problem what is required is creatively putting themselves in the place of the characters in the text, or in the sphere of life that most naturally relates to the problem to be solved. For this reason emotional intelligence, the ability to have a varied and complex emotional life through engagement with and response to the emotions of others, is a central if unexpected element of all mental processing and learning. It is just this ability to imagine our way out of our own situation and into that of another that daydreaming develops and encourages. For this reason not only are daydreamers more empathetic and emotionally open people, they are also better at comprehending literary and historical texts. Since the time of Socrates it has been thought that coming to know ourselves is both a major goal and the foundation of all truly successful learning. We can think about daydreaming as carrying out a dialogue with ourselves. In contrast, watching television or playing video games primarily involves an external exploration or dialogue, one that can involve learning but doesn’t often involve reflective self-discovery. If we are to be successful learners we need to have a robust sense of our interests, our goals and the talents or skills we wish to have. This intimately involves the imaginative self-exploration only a healthy daydreaming life can provide. Entrepreneur Mindset for Authors: Ready for Adventure? Once I had a dream that a company in Minneapolis offered me a job paying $150 thousand per year with excellent benefits. Although this is much more than many people make, I turned down the offer. Funny how he got so emotionally invested in my decision in a dream. When is a dream a nightmare? A cushy salary and benefits sounds like a good thing, right? But there are trade-offs with any decision. I would have to work 60+ hours and would have nothing like what I would consider quality of life. Why have money and no time to spend it? Why have to ask “how high?” when someone else says “JUMP”? Why give up freedom just for supposed comfort? For me, a cushy salary and benefits would not be comfortable if I had to work for someone else. I truly have an entrepreneur mindset! 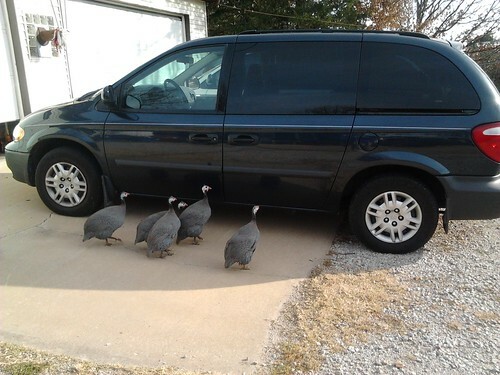 Like my guinea hens in this picture, I am ready for adventure. Are you? Why develop an entrepreneur mindset? Here are some reasons why you as an author of any format may find it beneficial to develop an entrepreneurial mindset. Just writing does not get your work out into the world. Just publishing a book is not a success guarantee. There is more to being a successful author than posting about your book in social networks. You are not likely to find a salaried position with benefits as an author. You’re probably a free spirit anyway! Here are some actions you can take to become more business minded without selling your writer’s soul. Set lifelines (most people call them deadlines) for yourself even though nobody is looking over your shoulder. Reward yourself for reaching your lifelines and for making great progress. Celebrate every success – whether that is the sale of an article, surpassing a goal, winning an award, the completion of a chapter, or your first book sale. Expect a miracle! Things don’t have to happen slowly or in stepwise progression. Open yourself to be AMAZED on a daily basis, and you will discover your mind, heart and spirit opening to bigger ideas and greater BLISS! Startup West Africa is the 5.0 of OUWA’s Certificate in Entrepreneurship. We have learned a lot over last 4 iterations, and are super excited to offer our new and very evolved Certificate. The course will be made up of live and pre-recorded lectures. There will be many thematic breakout sessions on everything from finance, to websites, to fundraising, and more. There will be many live coaches and e-mentors. We will be offering two tracks. There will be a business plan competition at the end. If you are a winner, you will be eligible to receive funding to commence operations via our partner SliceBiz. Don’t have an idea, but want to be part of a startup? No problem. Our program is team based. So come and link up with other peoples exciting ideas. OUWA’s model is to educate, incubate and invest. You can tell by our course fee, that we are essentially a free university. But like all schools, we need to make money in order to survive. We do this by taking equity in the companies we help start. So if you attend our program, you agree to give up 10% of your company. That 10% goes to OUWA, which helps us to hold such courses in the future. Furthermore, if you end up getting funded through SliceBiz, you will give up another 10%. So in total, to go from idea to funded startup, you should expect to give up 20%.